Where Do We Run To When The I.S.S. Comes Back To Earth? This week the UARS Satellite came crashing back to Earth and the only problem was that nobody knew where it was going to hit. The UARS was the state of the art in Upper Atmosphere Research Satellites when it was deployed from the Shuttle Discovery in September 1991 but, as with all low Earth orbit satellites, it eventually comes crashing back to Earth in a spectacular fashion. The UARS didn’t completely burn up in the atmosphere because it was too big: 6 tons and the size of a bus. 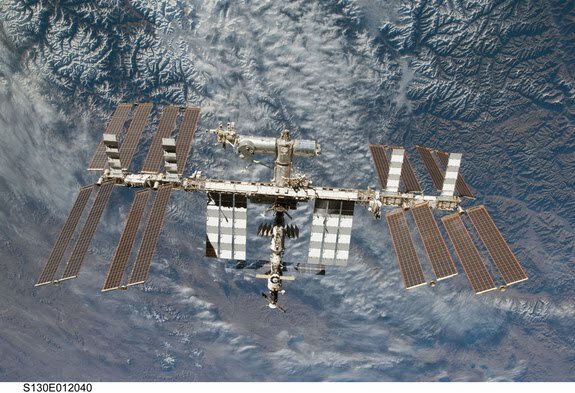 So what will happen when the International Space Station comes back to Earth, especially since its 431 tons and the size of a football field? NASA has a plan, but, as with the UARS, they can’t be 100% sure exactly when and where it will land. When satellites reach the end of their useful life and can no longer go on because of budget funding, lack of fuel to maintain orbit, or technical difficulties the mission managers usually de-orbit them with a final burn of the remaining propellant. 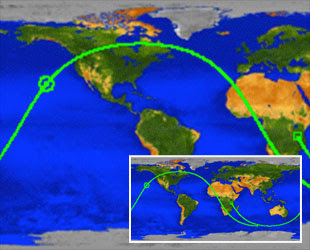 This de-orbiting burn is usually aimed at a large area of the Pacific Ocean that is uninhabited. Nobody gets hurt, no buildings are damaged and, at most it, scares the hell out of some fish. Whatever survives the fiery re-entry through the atmosphere sinks to the bottom of the ocean where it is crushed by the huge weight of the water above it and no one ever sees or hears from it again. Not the most dignified of burials, but probably the safest for us. 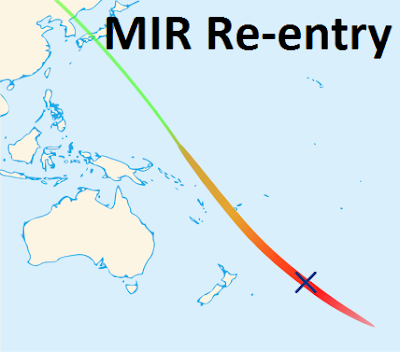 The reason that the UARS Satellite didn’t de-orbit directly into the pacific ocean is because the UARS was decommissioned in 2005 from a relatively high low Earth orbit and it took 6 years to get low enough to finally enter the atmosphere. In those 6 years, the I.S.S. actually had to maneuver around the UARS in Oct 2010 so it didn’t crash into the space station. If the UARS had directly hit the space station, it would have been catastrophic. Yes, space junk isn’t just dangerous to us on the ground but it can be dangerous to satellites and humans in space as well. So, this is the plan for de-orbiting the I.S.S. We use all the remaining propellant on the I.S.S., and even attach some re-supply ships with extra propellant and engines to the station and try to aim for the Pacific Ocean. Some of the automated re-supply ships may have to be modified to carry extra fuel because moving something that weighs 431 tons isn’t easy. Will it work? We can’t be sure, because there won’t be anyone on the space station in 2020 or 2028 when it comes back to Earth to fix any problems that might pop up. We can be sure that they will be aiming for that huge patch of uninhabited ocean, but there are many factors to come into play when de-orbiting such a large object. We know that things like the solar panels won’t make it through the atmosphere. Large, dense sections of the space station will make it through causing huge damage in a straight line for possibly many miles as each segment comes home at 17,500 mph. 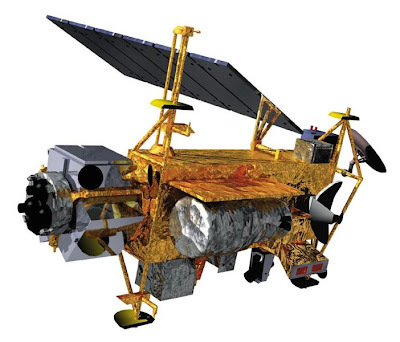 The UARS satellite is thought to have come down in an uninhabited portion of the North Pacific Ocean but nobody is sure because nobody was around to see it crash. Hopefully in another 10 or 20 years the space station will do the same. You know that there will be people watching the sky on that day just like the news was reporting on it all this week. If the I.S.S. should accidentally come down near you, you can bet that there is absolutely nothing that can stop it. Man made space junk in orbit and re-entering the atmosphere is something that humanity has only had to deal with for the last 50 years. As we build larger and heavier satellites we have to be sure that we can get them down safely or every few years or months we are going to be watching the sky for a piece of debris with our name on it. "So what will happen when the International Space Station comes back to Earth, especially since its 431 tons and the size of a football field?" LOL! I loved this story. Thanks for sharing!